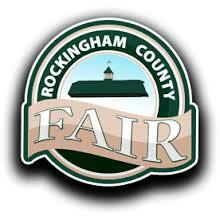 The Rockingham County Fair has been selected to receive an Award of Distinction from the International Association of Fairs and Expositions. The award recognizes efforts concerning agricultural exhibitors and is presented by an organization representing more than 1,100 Fairs around the world. The 1st place award for “Overall Program for Competitive Agricultural Exhibitors” will be presented to Rockingham County Fair delegate Ken Hawkins on December 1, 2015 during the 125th annual IAFE Convention in Las Vegas, Nevada. Similar-size Fairs who competed with the Rockingham County Fair this year in various categories include the Bonner County Fair in Idaho, the Four States Fair & Rodeo in Arkansas, and the Norman County Fair in Minnesota. International award competition is divided into 5 divisions based on Fair attendance. The entries are evaluated and judged by a team of industry leaders. These individuals are selected from the membership of International Association of Fairs and Expositions, which has over 1,100 members around the globe.